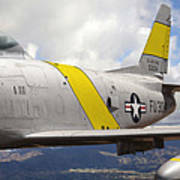 I knew a F-86 fighter pilot Ace. What a fine man and what a fine airplane. Beautiful work! A really clean piece of work..my hat is off to you...a real beauty. Congrats on your sale Larry!! 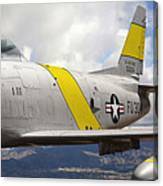 While shooting aircraft over the years, he came to the realization that shooting air to air and getting the right angle, background and detail consistently was expensive, time consuming and impossible. 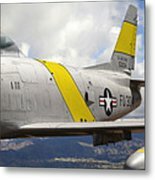 So calling on his skills as a designer, he created a photo illustration technique that allows him to design and create beautiful large format detailed aircraft images just the way he envisions them. To see how he achieves this please go to http://www.larrymcmanus.com and click on technique. While shooting aircraft over the years, I came to the realization that shooting air to air and getting the right angle, the right background and the most detail in the aircraft consistently was impossible. So, calling on my skills as a designer, I created a photo illustration technique that allows me to create beautiful large format detailed aircraft images just the way I envision them. I have won major awards for my designs, art and photography throughout my career and have sold my work all over the world. My studio is located in Colorado Springs. I take great pride in the execution, creative process and quality of all my work.